Back in February, Philip Kasinitz, a sociologist at CUNY-Graduate Center, organized a wonderful panel on crossing borders in literature and sociology at the Eastern Sociological Society meeting in New York City. He brought together four brilliant writers who engage in creative non-fiction and fiction: Contexts board member Suketu Mehta (author of the Pulitzer Prize finalist Maximum City: Bombay Lost and Found), Suki Kim (Guggenheim Award winner, author of Without You, There Is No Us), Teju Cole (author of Open City, which won the PEN/Hemingway Award, among other prizes), and Andre Aciman (professor at CUNY-Graduate Center and author of the memoir Out of Egypt). Syed Ali went to record it, enjoy the fun, and do some learning. Editors’ Note: Our managing editor, Meg Austin Smith, graciously transcribed the panel recording. The following has been edited for length. Kasinitz: Nobody wants to be pigeonholed as an immigrant novelist. But the immigrant novel has played this enormous role in American letters. So I was thinking about how that experience of exile, crossing boundaries—national boundaries, place, time—what that has meant for your own work, how you think about it? 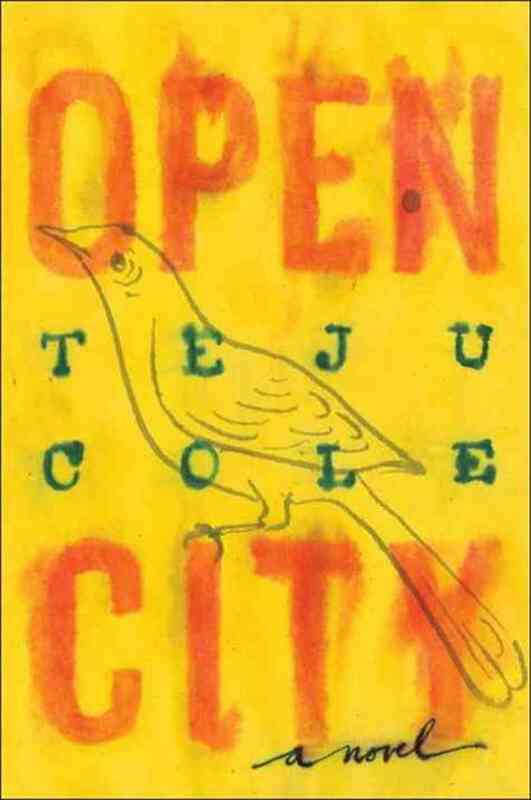 Mehta: When I go into Jackson Heights, and I have these stories of people, a man running a sweet shop or a taxi driver, or a garment factory worker on one level they are stories to me, real people’s stories—I am a fiction writer, I have an MFA from the Iowa Writers’ Workshop—but all that stuff I read in sociology courses and my conversations with sociologists, that informs the way not only that I write about these narratives but that I think about them. So I place them in a certain context about class and caste. And I think, there is, in all our work, fiction or nonfiction, there’s a kind of interaction with the social sciences, and I think that both can benefit from more conversations with the other.Mehta: “When I go into Jackson Heights, and I have these stories of people, a man running a sweet shop or a taxi driver… all that stuff I read in sociology courses… informs the way not only that I write about these narratives, but how I think about them. 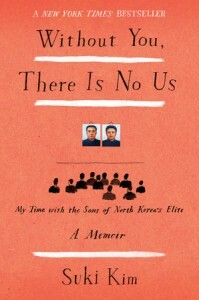 Kim: My current book is nonfiction, where I went undercover in North Korea for six months. While I was there, I was perceived as “the other”. Every question had to do with “What American perspective did you bring into this book?” But when I am here, I am also the other, constantly. In my case, I actually didn’t speak any English until I was 13. I think that writing in a second language brings out the Otherness, because the medium is not yours by entitlement. And I felt that in North Korea I had to constantly be quiet. When you are undercover, you kind of have to keep everything to yourself. And my first book was about being a language interpreter, which is also a very interesting position. And I think that position of not speaking the English language for a number of years—I spent my high school years not understanding anything that was going on, so when you don’t speak the language you have your own narrative going on in your mind, because you’re just mute. When you don’t speak the language, you are supposed to just be an observer really. Aciman: Just to talk a bit about being the other. By the way, yes I’m born elsewhere, but I have this added thing those of you who are not born elsewhere do not allegedly have. You, the immigrant, are always born in the wrong country, because had it been the right country, you would still be there. At the same time, we come to a new country where we acquire new habits, new friends, and we feel that those things are valid, good things to have, but not quite what we should be having. As a writer, when you are writing in the acquired language, It’s not the language you say “I love you” in, but it is the language in which you communicate to the rest of humanity, and it’s the language you write in your diary in. It’s a kind of fussy relationship with language and time; nothing is ever natural. What you should remember as sociologists is that nothing comes naturally to us. Mehta: Which comes first, the idea or the story? This is the essential difference between the social sciences and literature: writers begin with a story or a perception or a mood, and then spin it. And in the social sciences, you have a proposition you’d like to test out, and then you go out and collect stories, which will back up that story or contradict it. I’ll give you one example from my own writing. In the late 1990s, there was the Amadou Diallo shooting, an unarmed Senegalese immigrant who was shot dead by the NYPD. So there was a big rally in front of the police plaza on a beautiful morning to protest police brutality. So I went out there to write about it, and speaker after speaker denounced the NYPD. There were various immigrant rights and civil rights organizations. And then finally this taxi driver got up, Salim. He was expected to talk about how the police give too many tickets to the cabbies. He gets up and there’s this huge applauding crowd and he’s never been in front of such a crowd, such affirmation, he starts speaking, and then he starts stuttering, and then he says, “I am Gay!” This is not what he’s expected to say. He says, “I am gay, I’ve never been able to say it until this moment, I am gay, I am gay, I am gay.” And the crowd starts applauding. He had just come out! And there was this huge wave of applause. After a while, I noticed even the cops were applauding. So the original idea I had was thrown out the window. I came up with this highly unlikely story. My book now is a collection of these types of stories. Whatever idea I have for this book comes organically out of the stories. 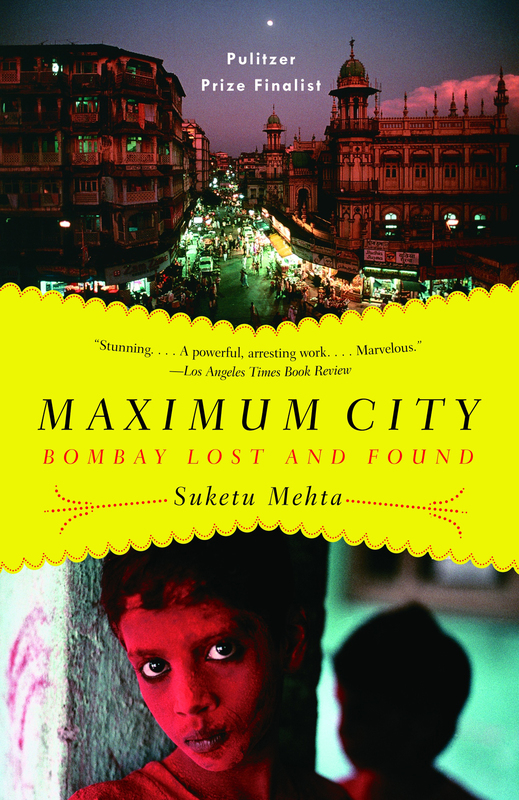 The same thing with my Bombay book—I didn’t know what kind of book it would be until after I’d collected the stories. Kim: I think it’s the difference between maybe the organic part of writing versus the assumption or the rule that’s been set out for certain fields. It’s really interesting because when I was in Korea, a scandal broke. 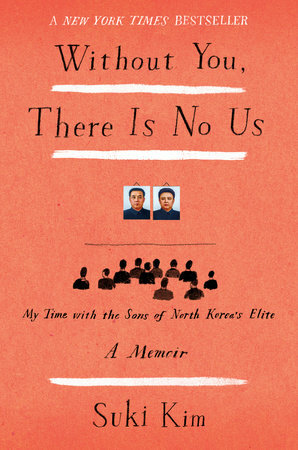 A book about North Korea, a defector—at the moment the most famous defector, from Camp 14—it’s a camp no one has ever escaped. It turned out the UN, because of his testimony, they put North Korea on the agenda. It turned out that basically he was not from Camp 14 but Camp 18, and who cares? What’s the difference? But it’s not even comparable, like a rehab center to a concentration camp. So what I found really interesting was that basically most of what he said was a lie. And the writer of the book was a very seasoned reporter from the Washington Post, and how come he never saw this was basically a book of lies? I remember covering this back in 2010 for Harper’s Magazine, and I did speak to hundreds and hundreds of people in the region. You can’t verify in a place like North Korea, but everyone wanted to believe a North Korean defector. Nobody wants to believe that maybe there are criminals, maybe people tell lies. The story has to be that their suffering is traumatic suffering and they are good people. But maybe they need to tell these lies so that the aid organizations give money. I ended up having to do a piece on lies rather than just defector stories. And when I was in North Korea all the defectors knew it was a lie, and I was like “Why didn’t you…?” and they were like, “Nobody wants to hear it. Everyone wants to believe in the hero story.” Reporters didn’t want to hurt the Washington Post reporter and defectors didn’t want to hurt the defector. About revealing the truth, you’d almost end up being a betrayal to the system. When the answer is already there for you, I think it can lead to disastrous situations, as this one, which I think has had a tremendously horrible effect in some way. Kasinitz: I would say that when social scientists do their work, for some methodologies, for technical reasons, you have to have your question very firmly defined. But a lot of the times, you go in knowing, “I’m looking at x and y,” but what you’re looking for is what you didn’t think of. The question is how much do you let that inform the story you are telling? One of the things that I’m so jealous about with fiction writers, in doing ethnographic work I am always in a situation where I think I know the story, but I feel this real obligation to only report what I can really verify. But if I was writing fiction, I could write “this person was in a relationship with her father that three years before.” I could fill in the backstory, which I am 90% sure is right, but I can’t prove it, so I can’t do it. Aciman: I disagree. I think that writers are just as committed, not necessarily to the truth, because we don’t always care about “the truth.” I mean, there are different degrees of truth. The real issue is that when you are writing something, you have a commitment not to the veracity, but the authenticity of a story. It doesn’t have to have happened to you at all, but it has to feel real. You can’t just manufacture something. Cole: I think there is such a thing as truth in writing, there’s like a deeper truth, which is related to the notion of completeness. When something is complete, we sort of know. Complete because of what it includes and because of what it leaves out. I write fiction and nonfiction, and I don’t generally feel as though I am chasing different things. The only difference is that fiction has made up parts. Technically, structurally, emotionally, factually, or the flavor of the facts. We all do fiction and nonfiction. We came together along that border. Kasinitz: You all talk about your own experience in terms of inside/outside, but a lot of your work, it’s important that it is placed in a place where a lot of the population is having that experience. Cole: If there is a commonality, it is this willingness to float free of the national boundaries and be in that “outer space” of experience. I don’t know Suki’s work that well, but certainly for us three, the reading we have done and the people who spoke to us were extending out beyond boundaries. We’re all devotees of Walter Benjamin, W.G. Sebald, in their different ways, V.S. Naipul means something to us, and Nabokov means something to us. These are all people who have the language of disloyalty, who were suspect of the center. They were permanently playing with the border between reportage and fantasy. That’s my language. To think about where reportage and fantasy can speak to each other. Aciman: I am a professor. When they say, “Give me a one-line bio,” do I say professor or do I say author? Actually, I’m both. It’s this continued hybridity. 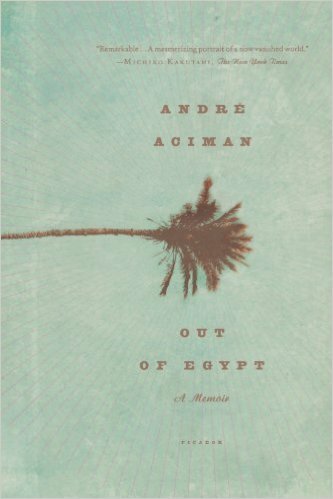 Aciman: Do I say professor or do I say author? Actually, I’m both. It’s this continued hybridity. Cole: Obviously the answer to that question depends on your quick assessment of the security services—how it might affect your forward passage through a particular border. Arriving in the Congo, I’m a “school teacher” [laughs]. Mehta: My experience of moving to America at 14 made me want to be a writer, because it was the only way I could explain to myself this kind of shift that had gone on in my life. …It was quite necessary for me to be a writer. I started out writing about immigrant things, and I am still writing immigrant stories, but I don’t want it to be a book on immigration. I think the act of interpretation we leave to the reader. We admit a kind of doubt and open-endedness, because without it our characters are staggering under the weight of the message. So leave it open ended. We are careful about language, precision, and beauty. In academics, it’s not as important. We begin with immigrant experience, but then we want to write about love and humor and what it feels like when we eat an ice-cream cone and watch a Bergman film… and that’s when we walk out of the immigrant section and into the writers’ section. Cole: I had a student come into my office this week, a really brilliant student. From Kolkata; I wasn’t that brilliant when I was 21. And he asked me a question about my work. He said, “It seems that your prose is very careful.” He made this distinction between the pyrotechnic style of Rushdie and the calmer, rhythmic style of Amit Chaudhuri and V.S. Naipaul. He made this binary, and he said, “Your prose is very like the latter. Do you think that there’s an element of trying to be very good and careful and perfect in English because the colonial schoolmaster is behind you and you want to impress him?” It was a perceptive question, and I am not always keen on my students psychoanalyzing me! But I said no, because when E.B. White wrote carefully he wasn’t worrying about anybody’s stick, and nobody would raise that question before him. And if you look at Rushdie’s writing or Wole Soyinka’s, you could say, “Well, he swallowed the dictionary and now he wants to show how many words he has in his arsenal!” Maybe that’s another kind of trying to impress. Like the Empire Strikes Back, “We have mastered your language.” When Faulkner does it, nobody says anything. What I said to the student was that you really have to let go of that anxiety. The language is yours, you are at the center of it, and you should use it to convey what you want to convey to the world. Because if I start thinking, “Is my English too good? Do I seem as if I’ve been a very good colonial?”, then that takes away from the thinking I am trying to get across. Aciman: “Do you think it’s about colonialism?” The question was already fraught. Because what he’s really saying is your writing, and I’m totally conscious of this when I am writing. For a foreigner, the prepositions in English are hell; they all have different meanings. If you have the wrong preposition, you have the wrong meaning. I am aware that I am very fussy with my use of language. I want to make sure I am not perceived as a man who is writing in an acquired language. Cole: Not for me. All language is acquired. My English started at the age of six, but the environment was saturated with it: TV, books, people speaking it around me, being good at it at school. It is my most comfortable home, and it took me a while to realize there was a gap between my not being a master of American idiom and knowing English. Kim: I also think there is a distance that comes when it is not your mother tongue. I am not as emotionally involved in the English language. What I do find, when you do have two languages, I tend to see myself escaping to the other language. I really need to get out of here mentally? I go to Korean. That has a creative inspiration on some level and brings some freedom. Kim: “I think there is a distance that comes when English is not your mother tongue. I am not as emotionally involved in the English language. That has a creative inspiration on some level and brings some freedom. Cole: Like a random White guy? Kim: I don’t remember his race. Cole: I always see race. Kim: I’m not Chinese; it’s not my ethnic dress. I was going to wear it to a party and someone said, “Well, it is Canal Street, someone might think you work here, like at a Chinese restaurant.” So my idea of this dress and how people see it is different, so for me to wear it is a different thing, it doesn’t give me as much freedom. Cole: Well, it’s interesting, because you could say, “I dare you to see this in a conventional way,” and then you can have a conversation about how it’s so not. The way you wear that dress might be the same as when a White American goes to China and tries on that dress for cultural curiosity. Kim: Or because it’s just a pretty dress. Cole: So to claim this space for all the possible and available interests so that the other is not being defined simply by the narrowness of what you think. Somebody once asked me a longwinded question about how I grew up in Nigeria, and African folktales, and what is the primary source of rhythm in my prose? And I said James Joyce, early Joyce. The Dead. Which is very African to me, but was very disappointing to the customer. She was a lovely lady, African American, had gone to Africa, but the entire world is available, and you pick and chose what interests you. Mehta: Ten percent of India is conversant in English. And that is larger than the entire population of England. Very soon there will be more people speaking English in India than in America. The future of the English language is in India. We made it our own; it’s what Rushdie calls the “chutnified” language—it’s got snatches of Tamil and Hindi and Gujarati. Anyway: A.K. Ramanujan had this wonderful essay how we speak this multiplicity of language in India, which trains us—certainly trained me—for living in New York. So, he grew up in Mysore, and the servants in the backyard would speak Kannada, and the language of the street was English. But his was a Tamil household, and Tamil was the language of the house. So he had this marvelous analogy of “front yard,” “backyard,” and “home” languages. And I grew up like that, with Gujarati, Hindi, Spanish or English, depending on where I was. So I think playing with these languages for all of us does something to our writing, it’s another form of border crossing. Sometimes I dream in Gujarati, and then I get up straight from dreaming and I write in English. What I’m doing is a kind of translation of my dreams. The dream also sometimes is in English, but I find Gujarati characters like my grandmother who have never spoken English in their life, sometimes in my dream they are speaking English… This crossing back and forth will never stop, no matter how steeped we get in a language. There will always be these languages of the front yard, backyard, and the house. Cole: The big languages sort of get bigger. Igbo which is the language my grandmother speaks—I don’t know if that will survive two generations, maybe one, it’s dying. Yoruba is solid, there are 25 million speakers, but there are lots of other languages in Nigeria that are dying. Kasinitz: Some of these tiny languages will survive in New York because they have a totally different function. In Nigeria, you don’t have to speak these little languages to hold your identity. Some of these languages, you could fit the native speakers in a couple of 747s. But in Queens, it becomes who we are, kind of like a fly in amber. Usually, it can’t go on too many generations. Audience member: A question on sources. My own work is much more history than social science at this point. One of the things I struggle with is the idea of what to leave out, whether what I am leaving out because it’s not in the flow, but is maybe creating a distorted picture. Aciman: Well, it depends who the publisher is going to be. Honestly, I am not being frivolous. 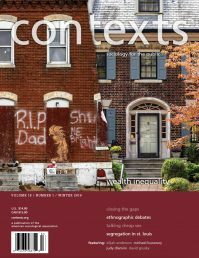 If it’s an academic press, you have to tell the whole story. If it’s a trade book, the word “story” is the keyword. The story is ultimately what you have. 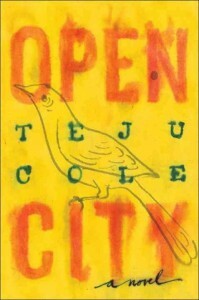 Mehta: Right now I am reading the great Junot Diaz novel The Brief Wondrous Life of Oscar Wao. And he’s got all these footnotes in it, these fascinating history lessons. There’s a pleasure in the telling of the main story, and there’s also a pleasure in the information… that’s the bulwark, the underpinning of the main story. So, I’m wondering if there’s a way in these academic dissertations to make footnotes more pleasurable, to joke sometimes about how you got this information. I’m serious! You talk about how social scientists got the information, but you never include the blooper reel about what went wrong. It might be interesting to see the areas you went that didn’t pan out and how you got back to the main area—all the accidental things that happened. Audience member: As social science people, we are data reporters, and you all are creative nonfiction writers. How important is analysis in your writing and does it ever seep in and curtail the creative side? If so how do you get around that? Are you just following nonfiction stories, or do you have interpretations and explanations of how the world works? Mehta: I begin with the story, like with this new book I’m writing on New York. I have sections about the history of the NYPD, about police brutality, and then there’ll be things in there that throw off my own analysis. “Do I contradict myself? Then very well, I contradict myself.” That’s the license you can take in creative nonfiction. But that doesn’t mean the analysis isn’t there. I think if I have a philosophy about this kind of nonfiction, it’s that the reader is entitled not just to the information, but to pleasure. It may be the pleasure of the sentence, of word following word in order to make a world, and sometimes it could be the pleasure of the analysis—my take on what do all these stories mean. It’s my opinion, and you are free to disagree with this. I think the difference between what we do and perhaps the more academic kind of writing is that we are allowed to introduce this degree of doubt, and doubt is essential to what we do. We leave it open ended to ourselves and to our reader. Kim: The skepticism is always there, even in the analysis. The analysis is not a conclusion, but a realization, the deeper realization in small moments in creative nonfiction when I can inject my own realization of what just happened there, what I think it might mean. It’s not like I’m telling the reader to think this way, but “I, Suki Kim, thought this at this moment.” And then you move on. So, I think the analysis is there, but with skepticism. Kasinitz: The mistake we academics often make is the illusion of scienticism, that any competent observer would more or less reach the same conclusion, that this is the way any other person observing it would see it. Whereas obviously you are not burdened by that, and the beauty is so much in the story that you’re telling. But it’s not really true for most of what we do either. We have a myth of representativeness, but the best social science is also an idiosyncratic, individual view in which, whether it’s obvious or not, the person telling the story is in the analysis. In some ways there is a myth of objectivity that we have reified a little too much.